The first Horizons program was created over 40 years ago as a way to help children of poverty improve their education and break the cycle of poverty. There are many obvious negative aspects to poverty, but the cycle is difficult to break. This section describes some of the hidden costs to letting the cycle of poverty continue. 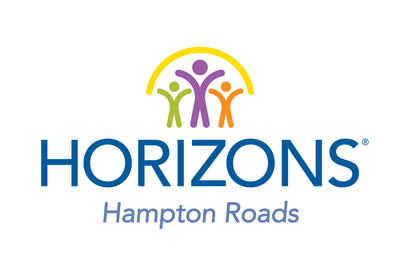 Learn how you can support Horizons Hampton Roads and help a child today! The average high school drop-out will cost taxpayers over $292,000 in lower tax revenues, higher cash and in-kind transfer costs, and imposed incarceration costs relative to an average high school graduate. It is estimated that there will be 6.2 million high school dropouts between ages 16-24, at a cost to our economy of nearly $1.8 trillion. Lack of early reading proficiency prevents learning in other subjects. Students who do not read proficiently by 3rd grade are four times more likely to leave high school without a diploma than proficient readers, according to a study over time of nearly 4,000 students nationally. The statistics are even worse for low-income and minority children who don’t read well. More than 28 million children live in low-income families. Low income is defined as wages of less than $42,400 for a family of four. The achievement gap between low-income children and their more affluent peers is already 6 months by kindergarten and, without intervention, will continue to widen to nearly three years by fifth grade.